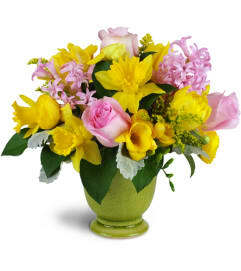 They'll be only too delighted to receive this lovely arrangement! 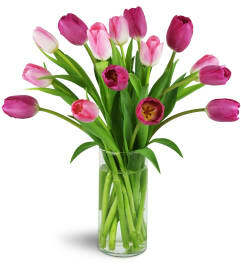 Perfect for Spring birthdays, housewarmings, and more - you're sure to never go wrong with fun, charming tulips! 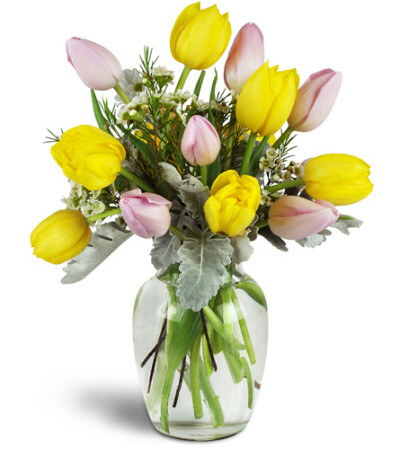 A lovely mix of yellow and sweet pink tulips are arranged in a classic clear glass vase. Thank you!! The fruit basket was a HIT!!! 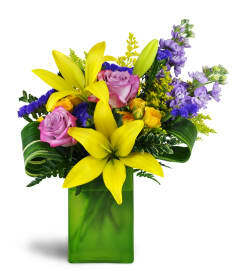 Cornelius Davidson Florist is a Lovingly Florist in Concord. Buying local matters. Discover how Lovingly supports local florists. Copyrighted images herein are used with permission by Cornelius Davidson Florist.